Providing support for high-medium-low-intensity lighting, these Aviation Light for High Rising Buildings are installed as a anti-collusion warning measure in high rise buildings and tall structures. The bright LED lighting support provided provide for more clearer visibility of the obstacles for aircrafts passing in the vicinity. Providing for sufficient brightness for long distance viewing, these aviation lights also support possible damages to life and property in case of collusion. 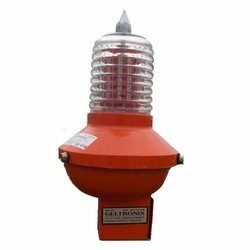 Featuring aluminum casting, polycarbonate glass and long life Led support, these are suitable for use in areas like Telecom sector, Industrial chimney, High rise building hotels and Towers. Looking for Aviation Light for High Rising Buildings ?